Gemma Doyle longs to leave Bombay, India for England. She gets her wish, but it is under the most tragic of circumstances. Following her mother’s mysterious death, Gemma is packed off to Spence Academy, a London finishing school for young ladies. At Spence, Gemma must contend with being the newcomer as well as make sense of the visions that began when she foresaw what would happen to her mother. Gemma is not the only person who knows about her ability, though, and she is warned to put an end to the visions. It is not an easy task, and when Gemma learns that there were once others with a similar power who could enter a magical world called the realms, embracing her gift seems all the more enticing. I think I’ve figured out what would have made Victorian novels like Jane Eyre a lot more appealing to me back when I was a teenager. If only Jane had gotten herself involved with a clique of mean girls at Lowood and possessed a paranormal ability that allowed her to transport her and her “friends” to a place where they could have anything they desired, I would have been totally hooked. This is only the second Libba Bray book that I’ve read (the other being The Diviners), but once again, I’ve been blown away by her talent for seamlessly blending historical fiction with the supernatural. From reading her novels, you’d think that the two naturally went hand in hand. 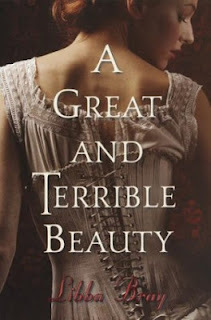 Set first in Bombay and then in London during the reign of Queen Victoria, A Great and Terrible Beauty centers around sixteen-year-old Gemma Doyle. My initial impression of her was that she was a brat with a me-centric attitude. Everything changes, though, when Gemma is seized by a terrifying vision of her mother dying that then comes true. Gemma is sent to Spence, an all-girls school in London. At this point my opinion of her began to change—for the better. Gemma proves to be a wry observer; her snarky commentary on everything and everyone really won me over. Upon her arrival at Spence, she immediately assesses the social hierarchy. She winds up with mousy Ann Bradshaw for a roommate, while snooty Felicity Worthington clearly has the run of the school. A game of one-upmanship that’s meant to show Gemma who rules Spence ensues between Gemma and Felicity and her entourage, which includes Felicity’s second-in-command, Pippa Cross. I couldn’t help but find myself engrossed in the drama here. I hadn’t expected this mean girls aspect to the novel, but writing about situations that could easily be transplanted to modern times while completely maintaining the authenticity of the period the story is set in seems to be a specialty of Bray’s. It’s one that she excels at, too. I also liked how Bray didn’t have the girls go skipping off together as besties once they sort of reached a truce, brought about by that good old equalizer, blackmail. The pettiness and the competition to be Felicity’s favorite continue, though with some toning down. The friendship between Gemma, Ann, Felicity, and Pippa stands on tenuous ground, and this is made even more so by Gemma’s supernatural gift. Gemma’s visions persist while at Spence, and they eventually lead her to the discovery of the Order, a secret society of sorceresses who could once access the realms, a world of powerful magic. Despite warnings from Kartik, a young man who’s followed Gemma from Bombay and who is a member of the Rakshana, another secret organization with its own agenda, Gemma finds her way into the realms. She brings the other girls, too, and they are all stunned to learn that whatever they dream is possible in this place. Ann sees herself with the beauty that she so desperately desires; Pippa literally has a knight in shining armor. On the surface, experiencing the magic of the realms brings the girls closer, but you have to ask: would they still be friends without this? Every time I thought that the hatchet had been buried, it would rear its head. I’m definitely not complaining about the seesaw-like quality to the friendship, though; it made for some absorbing reading. The wish fulfillment of the realms ends up being a double-edged sword because it magnifies how constrained the girls’ lives are back in their own world. In the realms, they have the freedom that does not exist in reality. My heart really went out to Pippa, whose parents are forcing her to marry some old geezer whose sole attraction is his wealth. The importance of keeping up appearances is a recurring theme throughout the book, from Pippa having to marry for social status over love to the Doyle family covering up how Gemma’s mother really died. Seeing how much the girls yearn to have the power that’s at their disposal in the realms outside of them is quite heartbreaking. 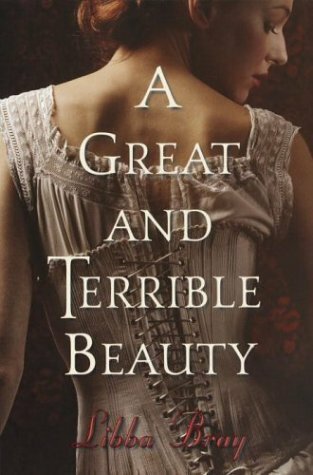 If I were to go on about how thought-provoking and multi-faceted A Great and Terrible Beauty is, this review would be as long as the novel. Bray’s prose is outstanding, and I loved how she made Gemma realistically flawed. The finesse with which Bray writes paranormal, as though it assuredly exists, is why both this and The Diviners left me grasping for the right words to describe how incredible they are. Paranormal historical fiction doesn’t get much better than this. I loved the setting and how true Gemma’s narrative voice felt to her time. I don’t know how I managed not to read this book much sooner; it was absolutely my kind of read. I think I would have enjoyed Jane Eyre with those aspects included as well! Sounds like a lot of fun. I am really glad that you found this read that you enjoyed so much and that fits you so well. The mean girls part and the realistic conclusion of resolution but them not being friends sounds like a good drama point as well. Excellent review! Jaclyn @ JC's Book Haven. I love reading about this time period, and the paranormal part just made this novel the perfect combination for me. And I loved how Gemma was pretty sarcastic; not at all what I was expecting from a Victorian heroine. Bray is so talented at keeping true to a certain time in history while adding subtle, modern touches here and there. Haha, that version of Jane Eyre sounds like fun. Jane was such a...wet blanket. Very mousy. But I'm so glad you liked this book! It was the first-ever YA book I read and after re-reading it a few months ago, I'm really impressed. I love how original it is compared to all the other paranormal books out there, and Bray's portrayal of history is excellent. I'm glad I'm not the only one who found Jane on the lackluster side as a heroine! I've thought about rereading that book to see if I've developed an appreciation for it over the years. It was required summer reading when I was in high school, and I really had to push myself to finish it back then. I'm really loving how Bray writes paranormal, and I also loved how she pulled off mixing it with the Victorian setting here. It is! I passed this book by so many times in the library, and I could kick myself for not borrowing it sooner. I've read Rebel Angels, and I really enjoyed it, too. I reached the point where I had about 200 pages left, and I stayed up into the wee hours of the morning because I HAD to finish it. I can't wait to read the last book! I want to read The Sweet Far Thing so badly, but I need to tackle some of the library books I already have out first. And given how big The Sweet Far Thing is, I don't think I'll be borrowing any other books with it, lol. If only I'd been assigned books like this when I was in school, lol. The Diviners was fantastic- so glad to hear you got a copy!